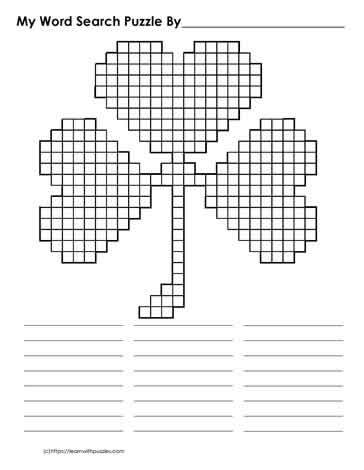 Blank cloverleaf shaped word search puzzle grid. Engage learners in fun vocabulary based on themes (St. Patrick's Day, Valentine's day hearts); superstitions (good luck); Science (Life Science - plants that are green). Have students share their own ideas about how this blank puzzle form can be used. Suitable for innovative, differentiating, and home schooling classrooms.